This statistic shows the total population of Liberia from 2007 to 2017 by gender. 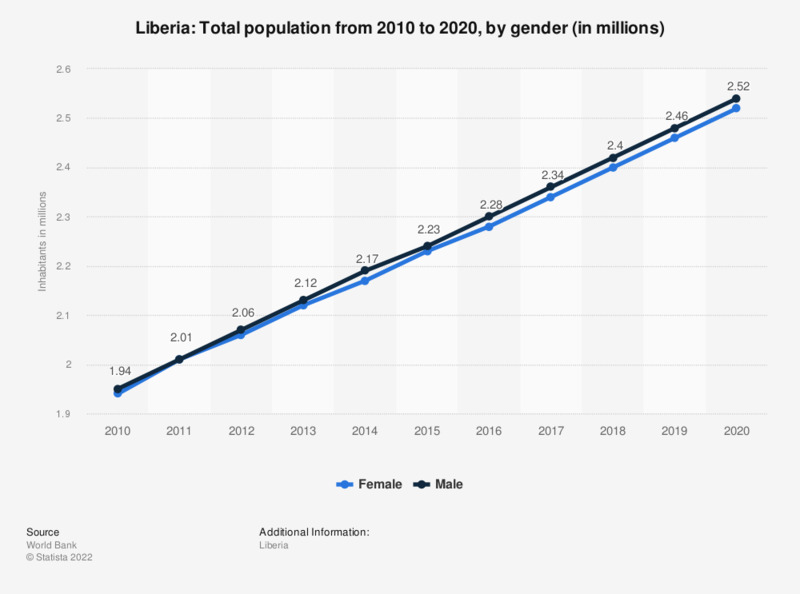 In 2017, Liberia's female population amounted to approximately 2.34 million, while the male population amounted to approximately 2.39 million inhabitants. Everything On "Liberia" in One Document: Edited and Divided into Handy Chapters. Including Detailed References. In which of the following fields do you own one or several home automation devices?